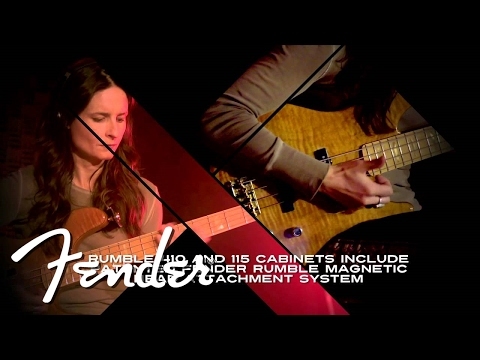 Fender Rumble are the astounding bass amp series with a well curved design but still compact and easierly portable. A real lightweighter, with the good and raw seismic Fender bass tone. A must-have for all the gigging bassist around the world. With Fender Rumble 100 classic design, you get a amp which deliver 100 watts of pure bass muscle. As a bassist, Fender Rumble is somthing you simply can't live without! Dimensions: 470 x 419 x 355 mm.